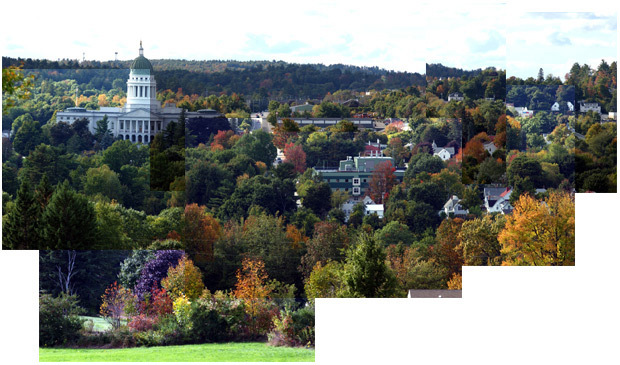 2.The leaves are beginning to change to their Fall colors here in the Capital of Maine. 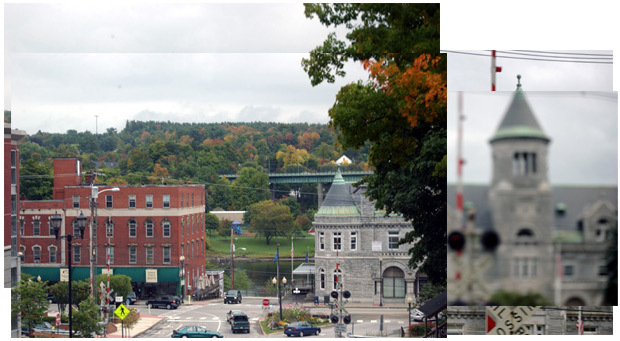 3.Fall foliage coming in across the Kennebec River from the Old Post Office Building in Augusta, Maine. 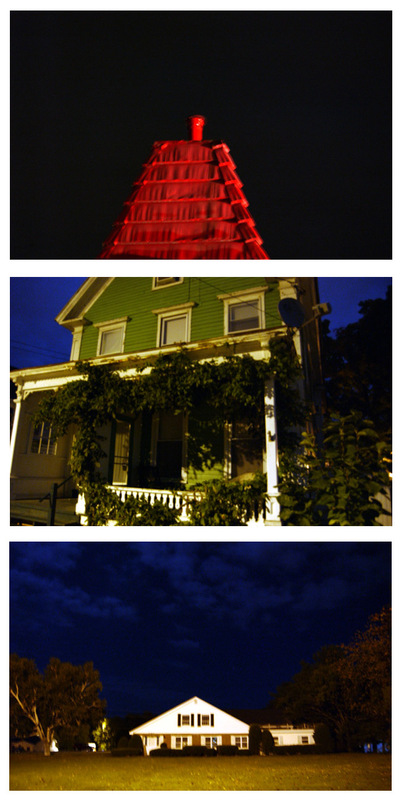 4.RGB: Walking home from work at night is more colorful than you might think. 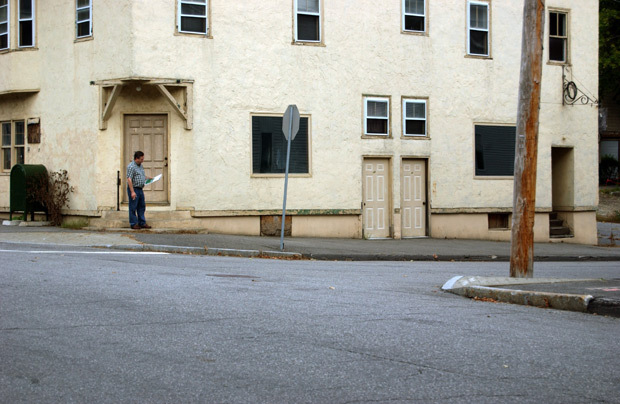 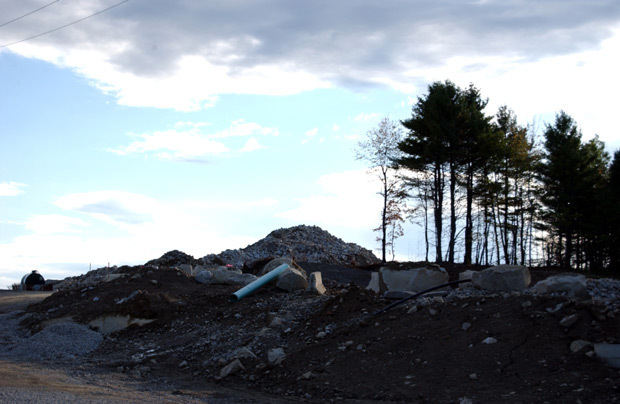 5.A man takes a smoke break and reads a manuscript at the corner of Court and Chapel Streets in Augusta, Maine. 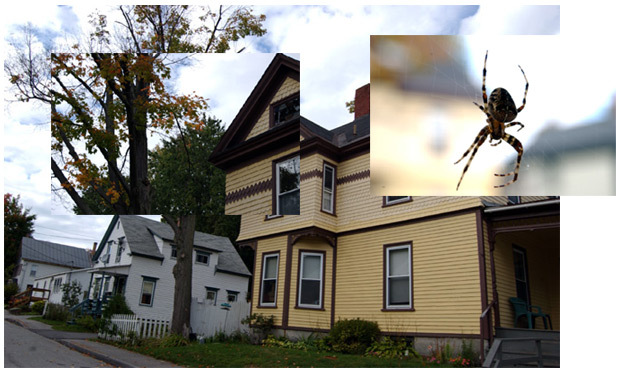 6.A collage view of a house on Weston Street, Augusta, Maine, with a spider in the foreground.